GKR Karate promotes Karate for everyone, including children from 5 yrs old through to men, women, and families of all ages. Apart from the obvious development of self-defense skills, Karate training builds confidence, positive attitude, determination, focus, and of course fitness. 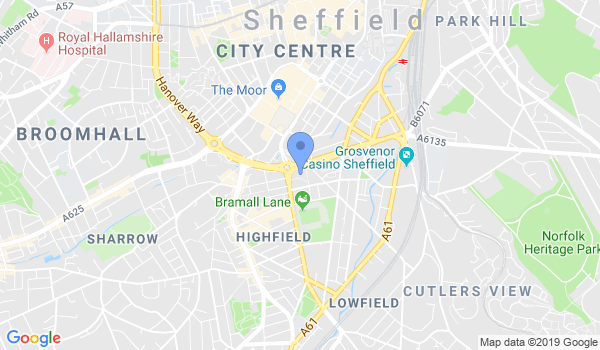 Our karate classes at High Green, Sheffield, United Kingdom, are taught by passionate instructors who are committed to teaching and passing on the GKR Karate style and our way of life. When you join our club, you will be joining a community of like-minded people who share the same common goal of personal improvement. This will be your journey, and you will be encouraged to train at your own pace. Your instructors and peers will be there to support and provide you with a safe, inspiring and empowering environment to develop your skills and reach your maximum potential. Training with GKR Karate at High Green will provide you and your family the foundations for life-long personal development and growth. Take your first step towards an exciting and enriching Karate journey. Would you like more information on hours, classes and programs available at GKR Karate - High Green? Please contact the school with your questions. Update the details, Write a Review or Report Error of GKR Karate - High Green.